Jonah Hex may well be the best DC title of the '70s. It's certainly the era's best western. I summon the spaghetti sauce! I've really enjoyed the Vertigo minis I've managed to track down, and I loved Justin Gray and Jimmy Palmiotti's run in mid 2000's so I'm sure to enjoy the original. 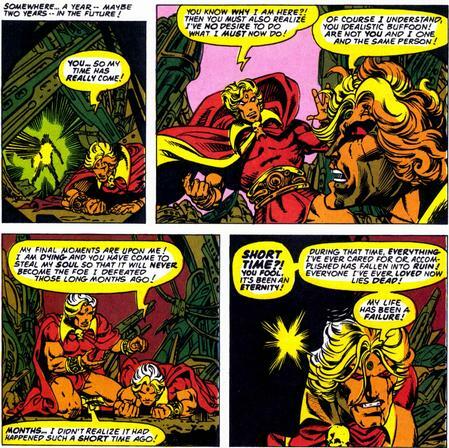 I discovered Jim Starlin when he did the Captain Marvel series and years later read his Warlock revamp . Strange Tales # 178 contained the first chapter of the Magus saga which was continued on in Warlock #9. I only got to read Warlock #10 and , for some reason that escapes me, I never read the conclusion in #11. That is until 1980, 5 years later. 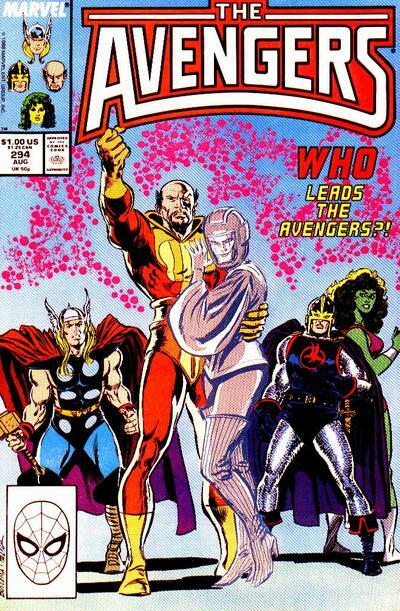 Fantasy Masterpieces was a reprint book that Originally had the Silver Surfer series and starting Issue # 8 , had the Jim Starlin Warlock Issues. 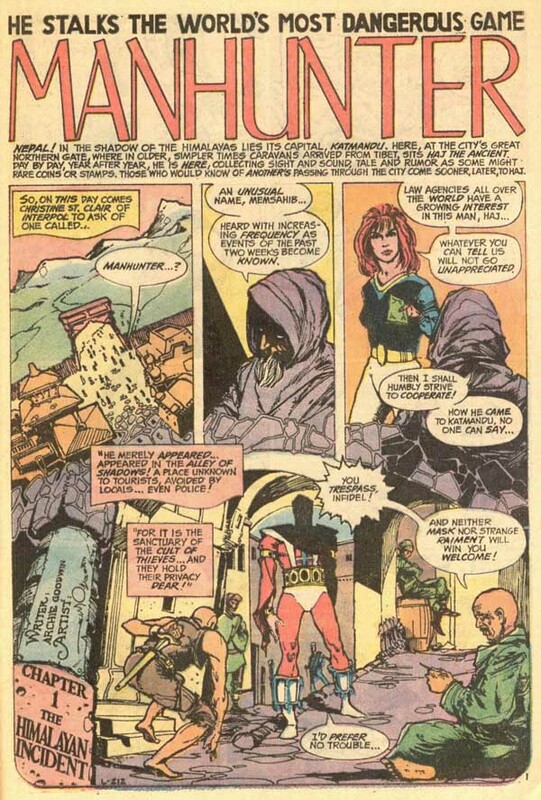 In issue # 14 ( the final issue) it had the final chapter “How strange my destiny” which was a reprint of Warlock #11. This book makes my list because it was my White Whale and that final chapter had eluded me for too long. 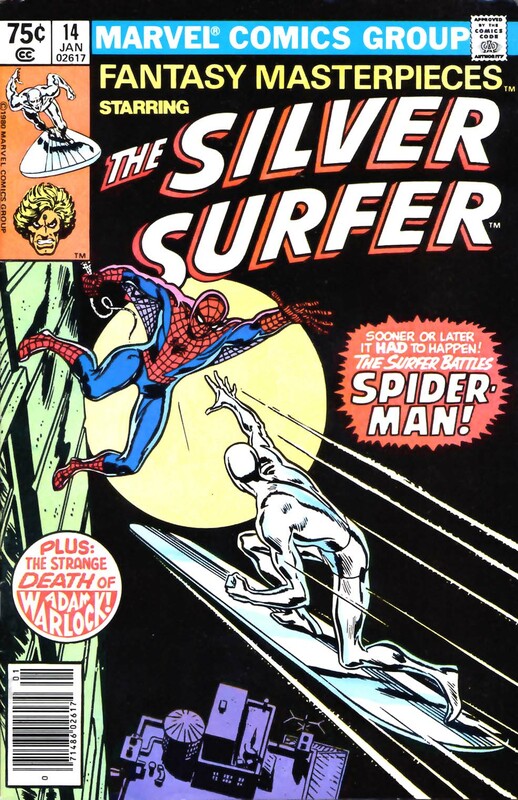 I can’t say I remember much about the Surfer story but what I do remember about the Warlock part was that the artwork was pretty weak. I think the inker Leialoha did most of the art over breakdowns by Starlin. I was ,and still am, a big Starlin fan so seeing Warlock die at his own hands was really trippy. As an adolescent, money didn't mean all that much to me. I had a lucrative dog walking business and no bills to pay, so, while I was never going to be padding my collection with $100 comics, I rarely thought twice about buying a $40 key issue when the opportunity presented itself. But, by the time I returned to comics in 2002, I was a poor working 22 year old trying to make my way in the world and earning only a little more per week than I had been when I was 12 and walking dogs. Discretionary income came infrequently and was used cautiously. And, as mine and my new wife's funds continued to dwindle, while we worked odd jobs to make ends meet and tried to pay off student loans, discretionary income ceased to exist all together, and soon we were borrowing creatively just to make rent. It was during this time that my adult love for comics really began to ignite, but I lacked the funds to expand my collection of six long boxes from my adolescence. Still, I was fortunate in the fact that I'd recently met a friend with whom I quickly developed a deep bond. We'd both grown up on comics, and he was thrilled by my blowing the dust off of my old collection. Inspired by my example, he dredged up his own childhood collection, and we both found ourselves excited and yearning for more. We were also attending church together, and one week, the sermon was about not worshipping deficits. When you worried about what you were lacking to the point that you deprived and emotionally starved yourself, it caused spiritual and, often subsequently, material consequences. In essence, it fostered a self-fulfilling prophecy. This hit home for us. We were both tired, not of BEING poor, but of FEELING poor all the time, of depriving ourselves of things to the point that life began to feel like a continual hardship. So, with my wife's approval, we made a pact: once a month, we'd spend the day driving around, hitting up the local comic shops, and would spend money we didn't have. $15 a month wasn't going to make a big difference in the larger scheme of things, and the emotional benefits were clear. My wife similarly agreed that she'd start spending a little on herself, and she had fun hitting up thrift stores for zany attire. It ended up making for some of the most fun memories of our lives. As our financial situation improved, we remained good at maintaining the balance – small discretionary spending, lots of fiscal responsibility. There was no discussion; it had just become instinct. So, one day, my buddy and I were in one of the local comic shops (we still hadn't tried attending shows yet), and (amazingly enough) they'd gotten in new old comics. And proudly displayed at the checkout, on a little eisel, was the original Magnus Robot Fighter #1. Now, in recent months, I'd been re-reading my Valiant Magnus Robot Fighter comics and had completely fallen in love with the character and premise, but here was his very first appearance! I couldn't believe it was there, in the same room with me. The shop owner even allowed me to pick it up and hold it. I asked the price out of sheer curiosity, expecting him to tell me it was going for hundreds of dollars (I had no concept of its market value). He told me it was $45. I was astounded by the low price, but put it down all the same. My buddy tried to goad me into buying it, but I didn't have $45 to spend on comics. It was only later, after a lot of obsessing over the missed opportunity, that it occurred to me that I wasn't poor anymore. We weren't exactly rolling in the dough, but there was a good chance I DID, in fact, have $45 to spend on that issue; I was just so used to not having nice things. So we went back a few days later, I bought it, took it out of the bag almost immediately, and (for the first time in my life) really breathed the pages and caressed the textures of the printing. I don't know that I've ever felt quite as wealthy as when that book became mine. There was guilt at first, mind you; to this day I can't explain why any comic is worth more than the initial cost to print it, but it was priceless to me all the same, and I had a tremendous sense that a burden had been lifted from within. I had given myself permission to spoil myself. And that was the gateway drug. My buddy and I went on to start buying a lot of key issues (spread out over a long period of time, of course, and only when the deal was particularly good) and as our finances improved, our spending budgets increased. We spent a few years buying up most of our dream books, and while most of them were far more impressive than Magnus #1, few left a bigger impression upon me. Beyond the memory, this is a great book in general, of course. Those fantastic painted Gold Key covers, the brilliant Russ Manning visuals, and even the awesome The Aliens backup feature. It was a first class book, but, like all books on my list this year, its significance transcends what's in the book. It's the memory attached that matters most each time I hold it again: the feeling of being recalled to life after spending so long budgeting our lives down to the dollar. Now that's a story Shax! What a beautifully designed splash page from Simonson on that Manhunter issue. I think I have Manhunter in every format it was ever printed in. 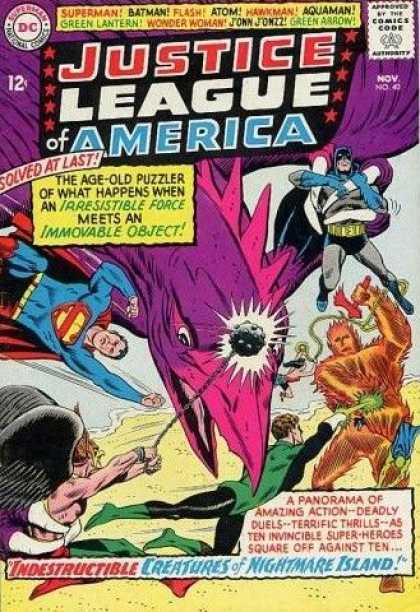 "Indestructible Creatures of Nightmare Island"
This one starts with me reading the 100 Issues Ago feature in Justice League of America #140. From that brief outline I knew I had to read this comic. I had read two Fox/ Sekowsky stories in the JLA Tabloid comic in 1976 and enjoyed both of them immensely. As a kid, I thought this might be another Dr. Destiny story. If I had started to read comics a few months earlier, I would have gotten this in a 100 Page Giant. As it was, I just reread #140 every so often and wondered if I'd ever get to read the story for real. Then came the Justice League Archives. I loved the entire Fox/ Sekowsky era, but I was waiting for the reprints to get to #40 so I could finally read it. In 1999 I finally got to read this comic and it was even better than I had hoped. I've read every Justice League comic ever made and this one is among the best. It was the hope of finally getting to read the story that's one reason that it made my list. 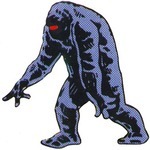 The other would be my eternal thanks to all those who have worked to bring back the comics of the past for me to enjoy. DC Archives, Showcases, Marvel Essentials and the literal gold mine of newspaper reprints that have appeared in the last quarter century have brought me untold enjoyment. In 2002, I finally bought a copy of the issue itself. I think my favorite part is that Aquaman's ability to talk to fish and Hawkman's ability to talk to birds were essential in saving the day. It's hard for me to express how much the EC universe and it's collective aesthetic has come to mean to me. It informs so much of my love for comics in terms of both what were and what they can be. There was a recurring house ad in the EC books claiming that it was their sci-fi comics of which they were the most proud. To take nothing away from the brilliance of Jack Davis, Johnny Craig, Graham Ingels and their superlative work on EC's horror line, it was ever the breathtaking, delirious, exotic and richly romantic work of the gang of sci-fi artists publisher Bill Gaines assembled that really stopped my heart when it came to EC comics. 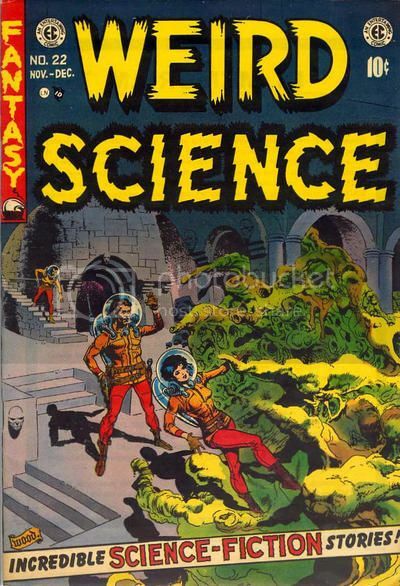 Weird Science #22 was the last of its run and in my opinion the best. Not only does it have one of Willamson's most majestic jobs on "A New Beginning" with help from pals Frazetta and Krenkel (and Krigstein too! ), but it contains what to me is the finest of all the EC stories. So if I'm to spend the rest of days on a desert island, as is my conceit, with but 12 comics to keep me company and my imagination fertile one of them must contain Wally Wood's incomparable "My World". It's a mere a mere 6 pages of intoxicating coda on not only the whole soon to expire EC line, but a potent summation of the driving spirit of one of comic's greatest forces- Wally Wood. It is a love letter in words and pictures (and what pictures!) of what adventure and imagination could make of the humble comic book. I'd hate to sacrifice any of my EC's, but if I had to gave up the many to save the one... this would be the one. This came so close to making my top 12. It blew my mind when I read it as a kid; I mean, Superman fixes the whole world. Wow. I love Weird Science, especially its adaptations of Ray Bradbury's writing.